Another great G1 reissue is coming to the market. Via TF-Factory on Weibo, we can share for you images of the G1 Ravage & Rumble and Laserbeak & Frenzy reissues. These are sure the perfect complement for the G1 Soundwave & Buzzaw reissue revealed a while ago. 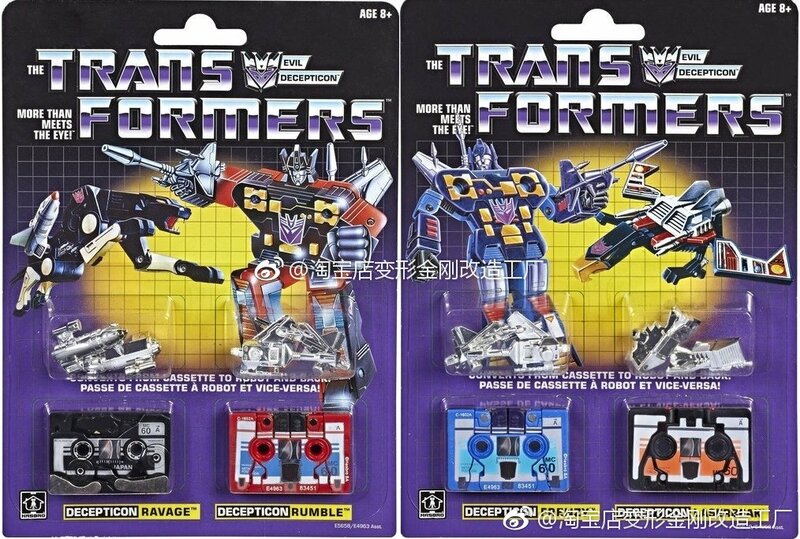 Soundwave’s cassettes come in classic G1 2-packs with no differences compared to the original releases (Rumble is the red guy, Frenzy is blue guy as in the original toys), but Laserbeak seems to have shorter laser guns. 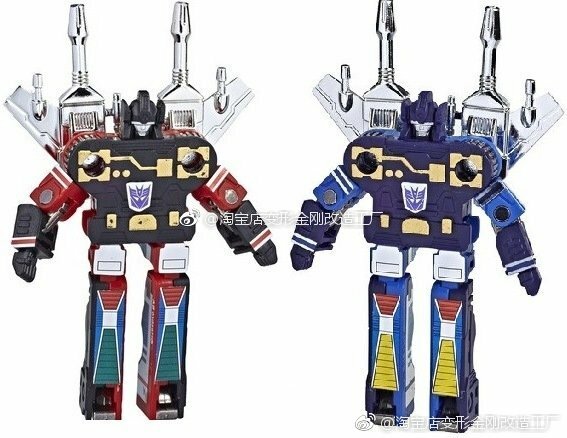 We still have no specific information about the price or release date, but they should be available via Walmart stores in the US as other previous G1 reissues. Click on the bar to check out the images and then sound off on the 2005 Boards. Has anybody seen these in store yet? 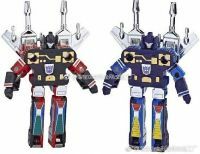 No, but it looks like a reset is coming soon and Soundwave has placeholder listing on Walmart.com. So possibly by the end of the month? What's more reliable, the assortment SKU or the individual ones? Assortment, always. Individual is for internal use, only. The problem is, much like the case of Leaders in WFC, they accidentally swapped Ultra Magnus's code with the assortment one. So, if one doesn't work, try the other until you get results. Whichever one gives you actual results is the one you should use. Ultimately, though, regardless of the name attached to it, the assortment code is the one that actually works. It shouldn't be too bad. Hasbro will find a way to get them in our hands. Too bad it'll probably be tricky finding these in stock. It'd be fun to buy multiples and customize stickers to become different albums. *twitch* Oh, my. That inconsistency is the stuff of nightmares. That would drive me nuts. Yeah I find it very odd they started out with the boxed releases, then went to single cards, then back to Boxes(that aren't even the same size as the first boxes) again. Incorrect. some of them were carded, a good chunk were boxed like the Minibots. I’m happy to see these reissued! I had the Frenzy/Ratbat set as a kid and always wanted Laserbeak. Plus, my original Frenzy is trashed. His spring is missing so his head won’t stay up, and his stickers are all peeling up at the edges. I’ll be willing to step foot into a Wal*Mart for these. And for me, cartoon Rumble is blue but G1 toy Frenzy is the blue one. For Masterpiece though, I think of Rumble as the blue one. Japanese G1 cassettes were carded. Micro change cassettes were boxed. They've never been reissued in that style sadly, I would want at least a couple of them. Love me some old, tiny, individually boxed Japanese robot toys. Anyone know if they are also doing anniversary releases in Japan in g1 packaging? The cassette's came single packaged so they would be different & yet highly collectible.